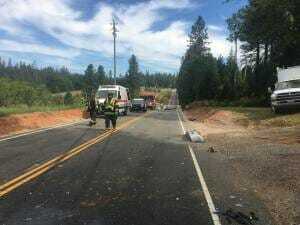 May 31, 2018 at 7:32 AM Truckee Police on scene of a rollover collision on Brockway near 267. Please watch for emergency vehicles in the area. Roadway is open. May 31, 2018 at 7:10 AM Cool and breezy today, weekend temperatures warming up to above normal. An exiting disturbance will bring cooler than normal temperatures and windy conditions for northern California today. May 30, 2018 at 4:48 PM Forward progress of the fire on Vincent Court has been stopped. Firefighters on scene can handle the incident, incoming units are being canceled. May 30, 2018 at 4:37 PM Report of a vegetation fire on Vincent Court off Greenhorn Road, engines en route. Approximately 100 sq ft ground fire. May 30, 2018 at 2:42 PM Escaped burn pile on Pine Cone Court in Foresthill, reported as about one acre now. Several engines and prevention en route. May 30, 2018 at 8:16 AM Today, PCSO is holding a multi-agency emergency drill at Colfax HS. They want to alert residents that there will be many emergency vehicles in the area from 8 a.m. – 4 p.m. Blank rounds will be fired & those in the area will hear gunshots. No need to call 911. May 30, 2018 at 7:46 AM Cool down begins, bringing gusty winds and elevated fire danger. Cooler temperatures return to interior NorCal today. 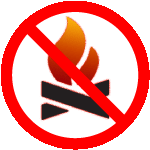 May 30, 2018 at 7:00 AM Today is a NO BURN DAY in Nevada, Placer and Sierra counties. 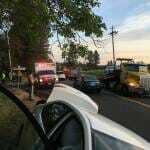 May 29, 2018 at 9:48 PM Vehicle vs a power pole on the 22000 block of Dog Bar Road, medics and firefighters en route. May 29, 2018 at 9:19 PM Firefighters have thoroughly checked the area on Red Dog, drift smoke only. No fire at this time. May 29, 2018 at 8:45 PM Additional engines being dispatched to multiple reports of white smoke in the area of Red Dog Road and Murchie Mine Road. May 29, 2018 at 8:26 PM Smoke check in the area of Red Dog and Pasquale Road. May 29, 2018 at 6:38 PM First engine on scene in Penryn reports a 100by 300 ft grass fire. One more engine to continue in, all others can cancel. May 29, 2018 at 6:30 PM Report of a vegetation fire on Sisley Lane in Penryn, started by a lawn mower. Numerous engines en route. May 29, 2018 at 3:54 PM The #ForksFire is burning at a slow to moderate rate of spread. Units are on scene, starting suppression. May 29, 2018 at 3:20 PM Report of a vegetation fire on Foresthill Road near Elliot Road. Tahoe National Forest engines and patrol are responding. One helicopter out of Columbia on order. The plume is slightly visible from I-80. May 29, 2018 at 11:20 AM Water rescue at Calcutta Falls on the American River, reported as a possible drowning. May 29, 2018 at 11:13 AM Vehicle accident on Roadrunner Drive in the Rough&Ready area, emergency services en route. Reported as a vehicle into a residence, no apparent injuries. May 29, 2018 at 8:29 AM Vehicle vs a motorcycle on Red Tail Hawk Road and Owl Creek Road, west of Jones Bar Road. 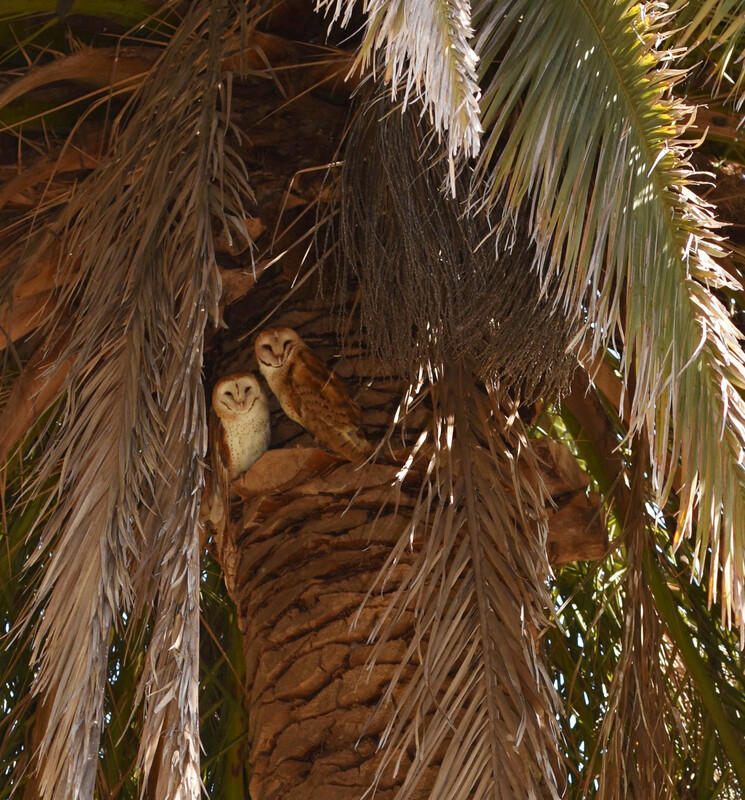 May 29, 2018 at 8:21 AM Must be the beginning of summer, even the barn owls are moving to their “cabana.” Thanks to reader Pam Rogers for sharing this photo. May 29, 2018 at 6:40 AM Another warm day across interior NorCal, significant cool down coming Thursday. Temperatures Thursday are expected to be around 20 degrees cooler than those of Memorial Day. May 28, 2018 at 12:55 PM Reported residential structure fire on Alta Hill Mine Road in Grass Valley. Units are en route, reported as a possible fire in the attic. May 28, 2018 at 8:20 AM Report of a vegetation fire on the 6200 block of Hammonto-Smartsville Road in Smartsville. Grass fire, two engines, prevention officer e route. May 28, 2018 at 10:14 AM Report if a small vegetation fire on Lewis Road in Nevada City, possibly caused by sparks from a lawn mower. Engines en route. May 28, 2018 at 8:35 AM Today is a NO BURN DAY in Nevada, Placer, Plumas and Sierra counties. May 28, 2018 at 8:34 AM Hottest day of the week today – cool down later this week. Memorial Day will be the hottest day of the week, with highs in the 90s to near 100 in the Valley. Stay in the shade or air conditioning during the hottest portion of the day. Remember, it is NEVER safe to leave a toddler, disabled person or pet locked in a car! 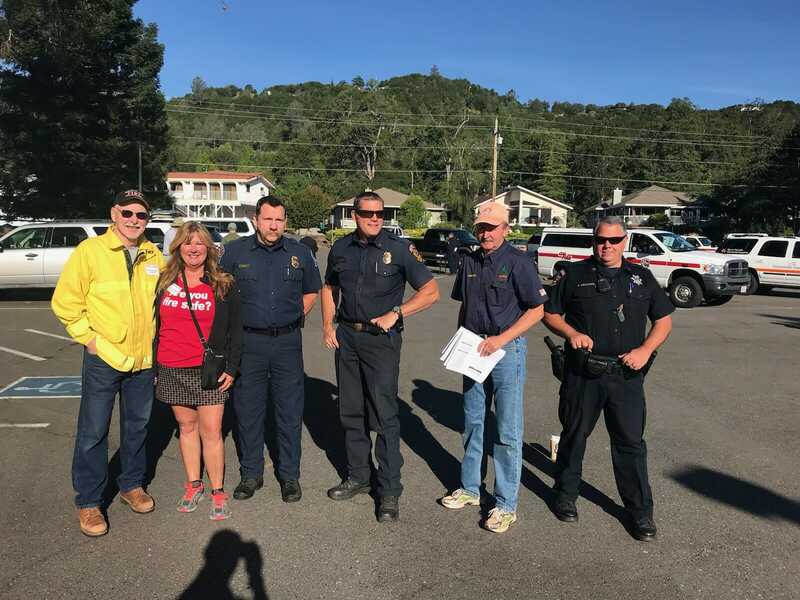 May 27, 2018 at 9:00 AM The CALFIRE NEU Wildland Urban Interface (WUI) Drill is underway in the Penn Valley community of Lake Wildwood, Nevada County. Expect fire engines and support vehicles in the community through the morning. This is only a drill. May 25, 2018 at 1:47 PM We want everyone to be safe: Please don’t die at the river this Memorial Day weekend. May 25, 2018 at 8:19 AM Overturned big rig on eastbound I-80 just east of Drum in Placer County. Caltrans is en route. Reduce speed in wet weather. May 25, 2018 at 8:14 AM Cool and wet will switch to dry and very warm by Sunday. A wide range of weather is expected this holiday weekend, from cool & wet weather with thunderstorms & high elevation snow today, to dry & very warm on Memorial Day. Valley highs in the 60s today, in the mid 90s on Monday. May 24, 2018 at 4:07 PM At 401 PM PDT, a strong thunderstorm was located near Donner Peak, or near Soda Springs, moving northwest at 20 mph. Dime size hail is possible with this storm along with some ground accumulation. Locations impacted include Cisco, Soda Springs, Donner Peak, Soda Springs Ski Area, Kingvale,Bowman Lake, Sugarbowl Ski Resort, Meadow Lake and Rattlesnake Mountain. Frequent cloud to ground lightning is occurring with this storm.Lightning can strike 10 miles away from a thunderstorm. Seek a safe shelter inside a building or vehicle. May 24, 2018 at 6:45 AM Cooler days ahead before a heatwave next week. A weather system will bring cold temperature along with valley and mountain rain late in the week. Snow will be possible above 8000 feet. Things look drier and warmer for the weekend but there will continue to be afternoon and evening t-storms in the mountains. May 23, 2018 at 10:23 AM It’s Flight Day at Lyman Gilmore. You’ll see several planes doing overflights for the event – no, there is no fire at this time. May 23, 2018 at 10:15 AM Temperatures are about to heat up, there have been numerous escaped burn piles and high fire season is just around the corner. Time for the yearly refresher on what to do when you see smoke. May 23, 2018 at 8:18 AM Tahoe Battalion 31 is on scene of the debris fire on Old Camptonville Road. North San Juan Fire and Pike County Fire water tenders and Dozer 2346 are assisting. May 23, 2018 at 7:43 AM Firefighters are on scene of a logging deck on fire on Old Camptonville Road. There is no extension to the wildland. May 23, 2018 at 7:40 AM Unsettled through Saturday, thunderstorms persist. Showers & thunderstorms expected to become more widespread Friday before warm & dry weather returns Sunday & Monday. May 22, 2018 at 12:44 PM Annie has been located and will be home soon. May 22, 2018 at 9:25 AM Yesterday evening’s thunderstorm was quite spectacular, overlooking the little Town of Washington in Nevada County. 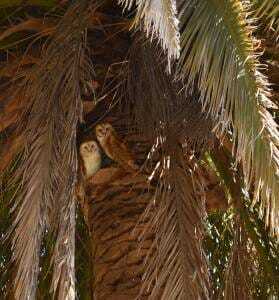 Many thanks to Katy Potter for the amazing photo. May 22, 2018 at 7:49 AM Thunderstorms a possibility all week long. Unsettled pattern continues over the mountains. Possible widespread showers and thunderstorms late this week so stay tuned! May 22, 2018 at 7:29 AM The Tahoe’s Yuba River Ranger District is planning to conduct an underburn within the Pendola area, along the 47 Road. Ignitions will begin around 9:00 am and continue throughout the day. If conditions are still favorable they will continue burning tomorrow. Smoke will be visible from Bullards Bar Reservoir and Marysville Road. District fire personnel and apparatus will be on scene during active ignitions and patrols will be monitoring the burn throughout the week. Please drive with extra caution when traveling near the area. May 21, 2018 at 10:11 PM Missing Dog: Annie, a 7 year old Australian Kelpie, ran away from home Monday afternoon. She was last seen Monday afternoon somewhere between Altair Drive and Red Dog Cross Road on Banner Lava Cap Rd. If you see her, please call or text to (530) 305-6559. A fitting reward will be paid to the person who helps reunite her with her family. May 21, 2018 at 11:16 AM One-way traffic control now on Hwy 20 at Harmony Ridge. Expect delays. May 21, 2018 at 11:06 AM Hwy 20 is closed westbound at Willow Valley and eastbound at Nevada Street. No ETA for reopening. May 21, 2018 at 11:01 AM The patient has been extricated from the wreck and will be en route via ambulance to the landing zone at the Rood Center. May 21, 2018 at 10:46 AM Air ambulance requested for the accident on Hwy 20. The helicopter will land at the Rood Center. Firefighters are extricating the patient now. May 21, 2018 at 10:43 AM Firefighters on scene report moderate injuries to the driver, extrication is required. May 21, 2018 at 10:42 AM Emergency services on scene report the lines down are AT&T lines. Hwy 20 is closed in both directions to extricate the patient from the vehicle. May 21, 2018 at 10:39 AM Caltrans and PG&E crews are en route to Hwy 20 and Harmony Ridge Road. Avoid the area and take an alternate route of possible. The roadway is blocked at this time. May 21, 2018 at 10:36 AM Vehicle into a power pole on Hwy 20 near Harmony Ridge Road. Power lines are down, emergency services on site. Traffic is at a standstill. May 21, 2018 at 7:25 AM Afternoon and evening thunderstorms over higher terrain possible. This week we will continue to be in the weather pattern that brings afternoon and evening t-storms to the mountains. Temperatures look to be seasonal. May 20, 2018 at 1:22 PM Grass fire on Old Pond Lane off Lime Kiln Road. Emergency services en route. Reported to be a grass fire the size of a barn. May 20, 2018 at 9:00 AM The WUI drill in Alta Sierra is starting now. One lane do Hwy 174 is now open. CHP investigation is ongoing. Traffic control is in place, expect the roadway to be fully open within the hour. Peardale/Chicago Park Fire Department is on scene. Expect some delays. Medics and Sierra Nevada Ambulance are on scene.. Rescue 84 and Nevada City FD are responding to the South Fork of the Yuba River for a medical emergency. This is the second river related call in less than 20 hrs! Please be safe! May 18, 2018 at 10:45 PM Smoke check in the area of North Ponderosa Way. Several engines in the area. May 18, 2018 at 6:42 PM Firefighter/rescue personnel is bringing the patient up to the road using a rope system. H-20 will airlift the patient to Sutter Roseville. May 18, 2018 at 6:32 PM H-20 will be over the rescue in 6 minutes. 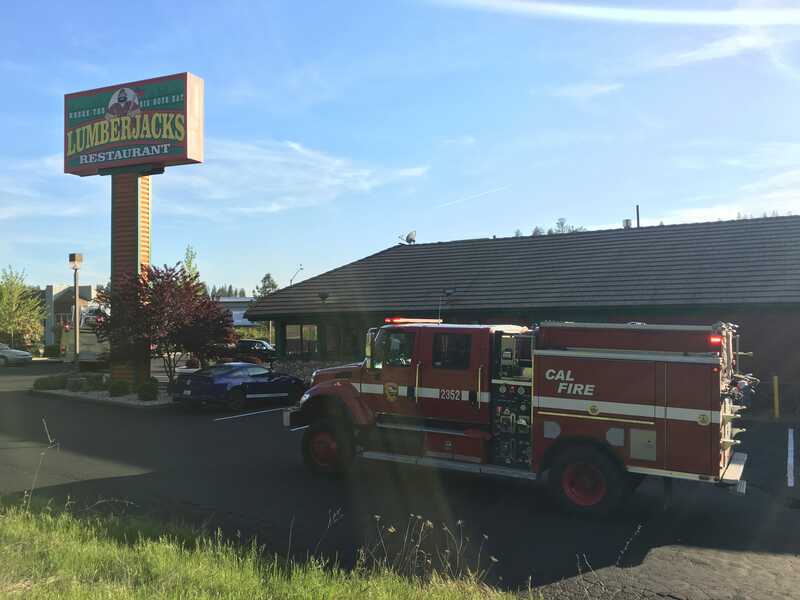 CAL FIRE, Nevada County Consolidated and North San Juan units are on scene. May 18, 2018 at 6:24 PM CHP helicopter H-20 is being dispatched to the rescue at the bridge as a precautionary measure. May 18, 2018 at 6:13 PM Patient is located on the North San Juan side near the bridge. First units have arrived and are climbing down to make contact with the patient. May 18, 2018 at 6:06 PM According to an update, the patient is out of the water on the rocks under the bridge now on the Nevada City side. May 18, 2018 at 5:58 PM Rescue units dispatched for a possible drowning to the South Yuba at the 49’er Bridge on Hwy 49 between Nevada City and North San Juan. May 18, 2018 at 4:17 PM Firefighters are making good progress on the escaped debris burn. Battalion 2, Battalion 2316, Engines 1, 32 and 2382, Tahoe Engine 333 and JOA on call are on scene as well as a prevention officer. May 18, 2018 at 4:12 PM Units on scene at the Rancho Fire, reporting an escaped burn pile. No threat to structures at this time. The fire is burning in brush at a slow rate of spread. May 18, 2018 at 3:57 PM Report of a possible vegetation fire on Rancho Nogotta Lane, off McCourtney Road near the intersection of Indian Springs Road. Numerous engines en route. May 18, 2018 at 1:40 PM Incident Commander reports the fire is burning uphill, towards a house. Hose line is being put in place. The dozer still en route is to stage on Rough&Ready Highway at North Ponderosa. Units currently assigned to the fire should be sufficient to handle. May 18, 2018 at 1:38 PM Washington Ridge Crew 2 en route to the Ponderosa incident. May 18, 2018 at 1:35 PM Ponderosa IC reports approximately 1-2 acres burning in grass. May 18, 2018 at 1:31 PM Smoke check now reported as a vegetation fire on North Ponderosa near Sazerac Lane. Additional resources are being dispatched. May 18, 2018 at 1:28 PM Smoke check on North Ponderosa Way in the Rough&Ready area, engines en route. May 18, 2018 at 11:46 AM Vehicle accident on eastbound I-80 between two big rigs, just east of Drum Forebay. CHP and emergency services en route. May 18, 2018 at 11:07 AM Thorough area check underway, so far no fires have been located between Nevada City and North San Juan. Canceling all units. May 18, 2018 at 11:05 AM Hwy 49 appears to be clear of any fires, some of the staged resources will be released. May 18, 2018 at 10:59 AM Engines are attempting to locate the reported roadside spots. So far nothing visible on Hwy 49. Two engines coming from Nevada City will continue down to the river and towards North San Juan. Several engines will stage on Hwy 49 near the Willo. Another report puts the fires in the Cement Hill area. May 18, 2018 at 10:53 AM Now reported as several, possibly extinguished road side spots, between Nevada City and North San Juan. Additional engines en route. May 18, 2018 at 10:52 AM Report of several suspicious roadside spots along Old Downieville Hwy. Emergency services en route. May 18, 2018 at 7:42 AM Warm with a chance of thunderstorms through the weekend. 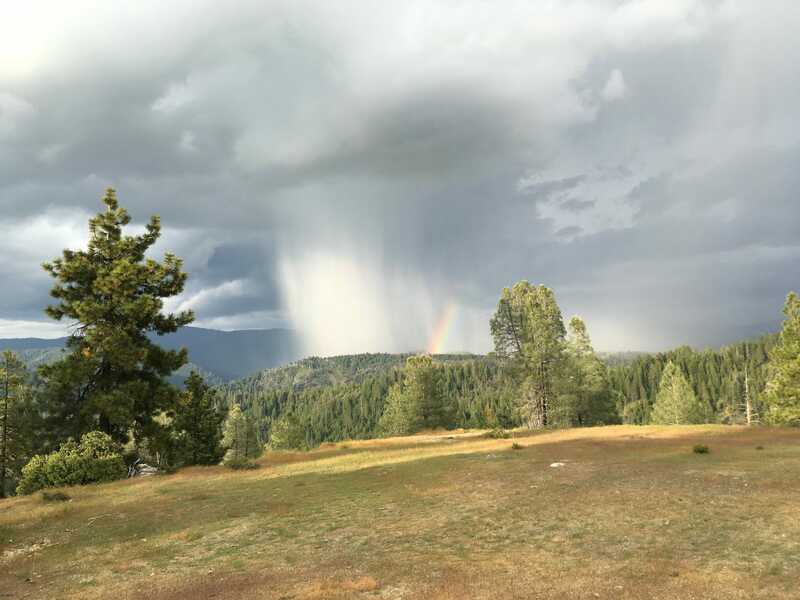 Warm temperatures through the end of the work week and into the weekend period, remaining a bit unsettled for the high Sierra country with scattered, mainly afternoon showers or thunderstorms. The northern Sac Valley and surrounding foothills/mountains will see an increasing chance of scattered showers and a few thunderstorms by Sunday. May 17, 2018 at 12:21 PM Small roadside fire on westbound I-80 at the Hwy 174 off ramp. CHP and fire units on scene. Slight slowdown in traffic. May 17, 2018 at 9:19 AM Heads up, a small black dog is running in the roadway on Brunswick Road near Loma Rica Road. Several cars have stopped, drivers are trying to help the pooch. May 17, 2018 at 7:41 AM Gradual warming and still a slight chance of thunderstorms. Warmer temperatures expected for Thursday with a continued chance of isolated showers and thunderstorms over higher elevations. May 17, 2018 at 7:00 AM Yesterday’s rain and today’s forecast have necessitated the cancellation of the prescribed burn scheduled today in Yuba County at the UC Field Station. The burn is postponed to June 7th when conditions should be more favorable. May 16, 2018 at 4:32 PM Non-injury accident on the 12000 block of Alta Sierra Drive. 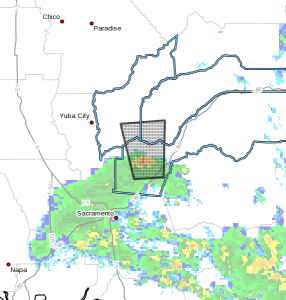 May 16, 2018 at 9:18 AM At 902 AM PDT, a strong thunderstorm was located near Lincoln, or 7 miles north of Rocklin, moving north at 15 mph. Pea size hail is possible with this storm. Locations impacted include: Rocklin, Lincoln, Loomis, Sheridan, Beale AFB, Newcastle and North Auburn. 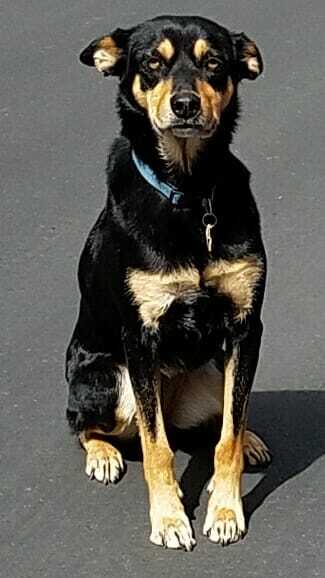 May 16, 2018 at 8:23 AM A brown dog is running in the roadway on Squirrel Creek Road in Grass Valley. Please use caution in the area. May 16, 2018 at 7:27 AM Cool with a chance of thunderstorms. Cooler weather will continue to end the week but will become more seasonal for the weekend. Isolated showers and t-storms will be possible in the valley on Wednesday and scattered storms are expected in the higher elevations during the afternoon and evenings. May 15, 2018 at 5:52 PM Boxes in the roadway on Hwy 49 just past the Nevada City split of Hwy 49 and 20. Use caution in the area, drivers are swerving to avoid the obstacles. Thanks to reader Susie for the heads up. May 15, 2018 at 8:48 AM Smoke check on Union Jack Street in Grass Valley. Smell of smoke in the area reported. Engines en route. May 15, 2018 at 8:36 AM Vehicle off the embankment on Rough&Ready Highway near Rough&Ready Road. Emergency services en route. May 15, 2018 at 7:34 AM Mild temperatures continue through the week. Cooler weather will continue this week with scattered mountain t-storms during the afternoon and evenings. May 14, 2018 at 1:41 PM Logging truck lost multiple logs off a trailer on Hwy 49 at Pendola Road. CHP and emergency services on scene, traffic control in place. May 14, 2018 at 7:22 AM Quiet weather will continue this week with near to slightly below normal temperatures. 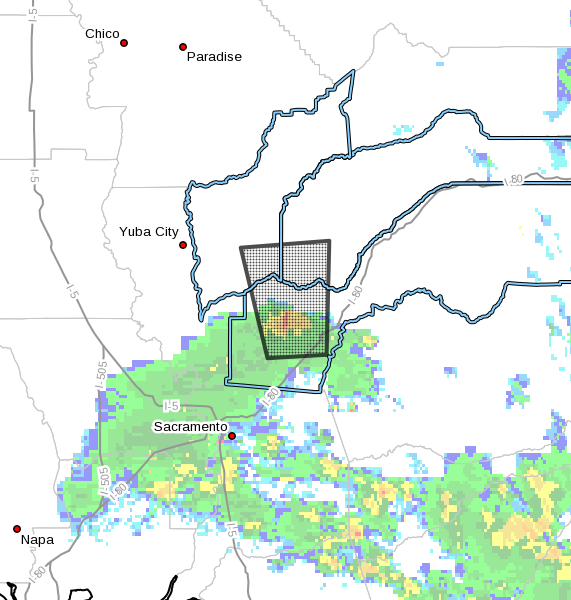 Sierra thunderstorms will be possible during the afternoon and evenings. May 13, 2018 at 6:50 PM Units on scene of the escaped control burn on Tyler Foote Crosing Road on the San Juan Ridge report 1-2 acres, burning at a moderate rate of spread. CAL FIRE and North San Juan Fire Department on scene. May 11, 2018 at 6:22 PM Units at scene on Manna Lane off Fruitland Road reporting progress being made. 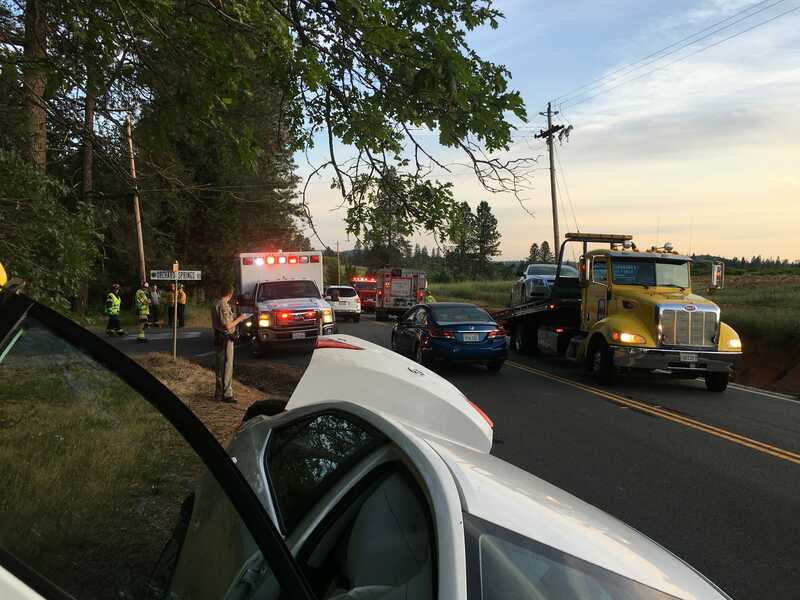 May 11, 2018 at 6:20 PM Vehicle accident on Hwy 20 at Pleasant Valley Road. Rough&Ready Fire units en route. May 11, 2018 at 6:19 PM Additional units requested from Smartsville and Foothill Fire Departments to the commercial barn fire. May 11, 2018 at 6:15 PM Additional units, including water tenders now being dispatched to the barn fire that has extended into the grass now. Loma Rica Fire and CAL FIRE units responding. May 11, 2018 at 6:11 PM Barn on fire off Fruitland Road in Yuba County. Numerous engines en route. May 11, 2018 at 5:18 PM Firefighters have removed the old cable lines on Norlene Way. The roadway is clear. May 11, 2018 at 4:58 PM Power lines down across the roadway on Norlene Way near Sunset Way. Emergency services en route. May 11, 2018 at 2:37 PM Water rescue being dispatched for the Sycamore Ranch area in Browns Valley. May 11, 2018 at 12:56 PM Possible illegal debris burn off McCourtney Road and Valley East Drive, units en route to check it out. May 11, 2018 at 7:39 AM Today is a NO BURN DAY in Nevada, Placer and Sierra counties due to fire danger. 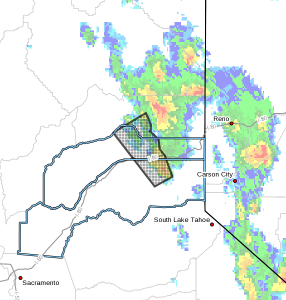 May 11, 2018 at 7:30 AM Windy today, higher elevation thunderstorms Saturday – Wednesday. Gusty northerly winds will continue today in valley and delta locations. Winds will decrease fairly quickly in the evening but will still be breezy on Saturday in the Sacramento Valley. The same system causing these winds will linger in the area and bring a chance of afternoon and evening thunderstorms Saturday into next week across higher elevations. May 10, 2018 at 7:04 AM A reminder from Caltrans: One-way traffic controls on Highway 49 from Star Lumber (south of Reader Ranch Rd.) to the Yuba River South Fork bridge. May 10, 2018 at 6:53 AM Warm and dry weather continues, very breezy north winds are expected starting Friday. Strong north winds expected in the Sacramento Valley and Delta on Friday as upper level low pressure moves from the Pacific Northwest into Nevada. This system will linger over Nevada Saturday into Tuesday keeping a chance of thunderstorms over NorCal. May 9, 2018 at 7:00 AM Slightly cooler, but still dry and breezy. Cooler temperatures are expected across interior NorCal today. May 8, 2018 at 12:32 PM The Nevada County Board of Supervisors just announced the appointment of Alison Lehman as the next County CEO. Lehman, currently the Assistant CEO, is replacing Rick Haffey who is retiring. The BOS’ decision was unanimous. May 8, 2018 at 7:49 AM The Tahoe National Forest American River Ranger District plans to conduct a 31 acre prescribed fire beginning May 8th, 2018 and continuing for the rest of the week. The North Divide prescribed fire area is located near the Humbug Ridge, which is approximately 15 miles northeast of the town of Foresthill. The American River Ranger District fire personnel plan to burn 7 to 31 acres per day as weather conditions and air quality allow. The North Divide project is considered an under burn type of prescribed fire. As an under burn it will give multiple results such as; cleaning up debris from a completed timber sale which thinned the amount of trees in the unit; reduce the risk of wildfires by making a break in the fuel (vegetation) load, and increase the resiliency of the forest to wildfires and beetle attacks. This project will continue until the unit is completed or when the conditions become too dry in the spring. May 8, 2018 at 7:21 AM Breezy, dry and warm weather continues. There is a slight chance of showers and thunderstorms this afternoon and evening over the northern mountains and northern Sacramento Valley. The main issue with any thunderstorms that form today is strong, gusty winds, with occasional lightning and small hail also possible. Stay tuned to weather updates today and take shelter if you hear thunder or see lightning! May 7, 2018 at 8:24 PM A large burn pile pile appears to have been ignited in the Yuba canyon. Smoke is drifting up New Rome towards Purdon. No flames visible and it is a permissible burn day. Cal Fire/Placer County Fire firefighters released from the incident .26 Acres final. May 7, 2018 at 5:01 PM North San Juan Fire en route to a smoke check, in the area of Kilham Circle and Blind Shady Road. May 7, 2018 at 4:31 PM Crother Road in Meadow Vista, Placer County. CAL FIRE/Placer County Fire Crews and Dozer making progress on containment line. Mop up expected to continue 3 to 4 hours. May 7, 2018 at 2:34 PM CAL FIRE / Placer County Fire firefighters responding to the report of an escaped debris burn off Interstate 80 in Meadow Vista east of Auburn. May 7, 2018 at 7:28 AM Dry and warm weather continues. A warm week is in store for the area. A weak weather system will clip NorCal Tuesday bringing breezy winds & a slight chance of rain for the northern mountains. Stronger winds are possible late this week into the weekend. May 6, 2018 at 11:16 AM Accident on Hwy 174 near Orchard Springs, the northbound lane is open again. Two cars involved, CHP, medics and firefighters on scene. Emergency services still on scene, waiting for tow trucks. Traffic control is in place. Southbound lane will be reopened once the vehicles are removed, expect minor delays in the area. 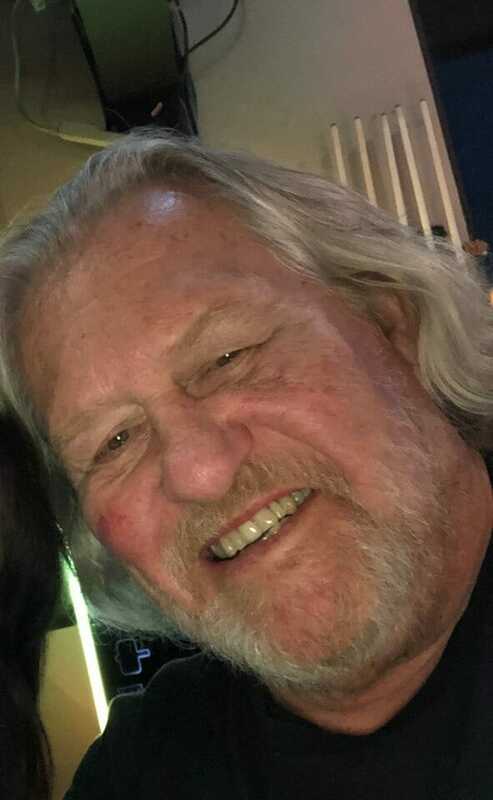 May 5, 2018 at 9:28 AM The Nevada County Sheriff’s Office received a call yesterday after a man believed he had located the silver Hummer H2 belonging to Missing Person Stanley Norman. Detectives responded to a rural part of Nevada County and confirmed the vehicle was in fact that of Stanley Norman. Stanley was not located with the vehicle. 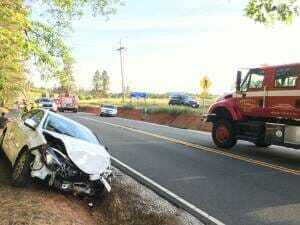 The California Department of Justice was called to process the vehicle in the event foul play is discovered. No additional information is available at this time as the investigation is ongoing. An active search is underway for Stanley Norman and any evidence clarifying the circumstances of his disappearance. May 4, 2018 at 6:59 PM Law enforcement has detained the subject. 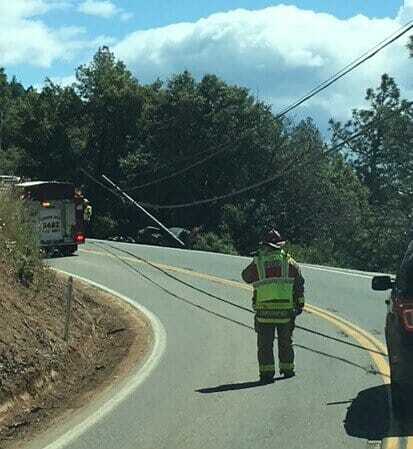 Expect delays on Hwy 49 between Alta Sierra and Lime Kiln Road. May 4, 2018 at 6:49 PM Ambulance is transporting two patients to Sierra Nevada Memorial Hospital, law enforcement is still in the area looking for a subject that fled the scene on Hwy 49 near Pekolee Drive. May 4, 2018 at 6:38 PM Additional medics responding to the accident scene on Hwy 49. May 4, 2018 at 6:33 PM CHP is searching for a subject who fled from the second vehicle. Expect increased law enforcement presence in the area. May 4, 2018 at 6:30 PM One vehicle off the roadway in the southbound direction on Hwy 49 at Pekolee, emergency services on scene. Another vehicle off the roadway, a little further down with law enforcement surrounding the car. Please avoid Hwy 49 in that area if at all possible. May 4, 2018 at 9:36 AM Warm and dry weekend ahead. Local waterway temperatures are cold due to mountain snowmelt, but you may be wondering just how cold water temperatures need to be before they become dangerous. Not that cold, it turns out! May 4, 2018 at 9:20 AM Why is it so smoky in downtown Nevada City? Because it’s a permissible burn day. Debris burns from the surrounding area bring smoke into the bowl that is downtown Nevada City – it’s an inversion and it will dissipate as soon as temperatures heat up. 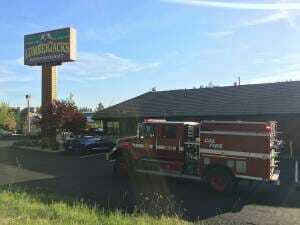 May 3, 2018 at 6:48 AM A grease fire at Lumberjacks in the Brunswick area has been extinguished by firefighters. No injuries reported. May 3, 2018 at 7:58 AM Today is a permissible burn day – with a burn permit – in Nevada, Placer, Plumas and Sierra counties. May 3, 2018 at 7:48 AM Dry and warm conditions the next several days with above normal high temperatures. Warm weather by the weekend will make area streams & rivers inviting. Currents are strong & water temperatures are cold, though. If you’re going to be in or near water, make sure you wear a life jacket. May 2, 2018 at 5:06 PM The official CHP report from this morning’s accident on Hwy 49 near Camptonville. #Update @ 1:55 PM: Hwy 49 has been opened from the collision near Marysville Rd. Please be careful for any roadway crews still working in the area. Update at 11:55 AM: There are 2 confirmed fatalities in this collision on Hwy 49 near Marysville Rd. Expect delays until at least 12:30 PM. May 2, 2018 at 11:59 AM Additional resources en route to the fire on Hammonton-Smartsville Road. Moderate rate of spread in grass and brush reported, gusty winds in the area. May 2, 2018 at 11:54 AM Report of a possible vegetation fire on Hammonton-Smartsville Road. CAL Fire and Smartsville fire units en route. The fire is reported near the Doolittle Gate, not on Beale Air Force Base property. May 2, 2018 at 11:42 AM Report of a knife fight in North San Juan on San Francisco Street near High Street, law enforcement and emergency services are arriving on scene. May 2, 2018 at 11:15 AM Both lanes of Hey 49 at Camptonville will be closed for one hour at least. Use an alternate route of possible. May 2, 2018 at 10:55 AM One fatality reported at the accident on Hwy 49 and Marysville Road. May 2, 2018 at 10:51 AM Calstar 3 will land on Hwy 49 which is temporarily closed at Marysville Road. One critical patient now. First ground ambulance is arriving on scene now. May 2, 2018 at 10:38 AM Three patients reported from the vehicle accident near Marysville Road. One moderate and two major injury patients will need transport. Landing zone for CalStar 3 will be the Forest Service office in Camptonville. May 2, 2018 at 10:29 AM Two car accident, with one vehicle down an embankment on Hwy 49 at Marysville Road. Extrication required, multiple patients. Forest Service, CAL FIRE, North San Juan Fire, two ambulances and an air ambulance requested. Calstar 3 air ambulance is en route as two major injuries are reported. May 2, 2018 at 9:36 AM Power lines down in the roadway after a vehicle vs tree accident on Auburn Road at Hidden Valley Road. PG&E crews on site. May 2, 2018 at 8:59 AM Today is a permissible burn day – with a burn permit – in Nevada, Placer, Plumas and Sierra counties. May 2, 2018 at 8:56 AM Sunny and warmer with above normal temperatures. High pressure building over the west coast will bring fair skies and warmer than normal temperatures to northern California over the next several days. May 1, 2018 at 9:02 AM Big rig stuck on Dog Bar Road near the Bear River bridge. May 1, 2018 at 7:34 AM Milder temperatures return, warming trend continues through the week. Things will be warming back up across NorCal this week. Isolated showers will be possible over the higher elevations through Wednesday. May 1, 2018 at 00:02 AM Starting today at 8:00 am, burn permits are required throughout Northern California for residential burn piles. Please check if it is a permissible burn day before lighting your debris piles. May 1, 2018 at 0:01 AM Last month’s log can be found here.